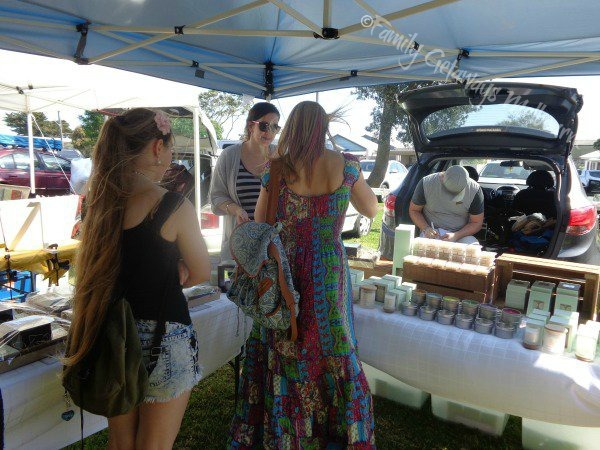 In 1975 the craft and produce market was established in the seaside village of Queenscliff. Queenscliff is situated on the Bellarine Peninsula just over 100 kms from central Melbourne. It takes about 1 and 1/2 hrs to drive from the city, through Geelong and down to the south western tip of Port Phillip Bay. 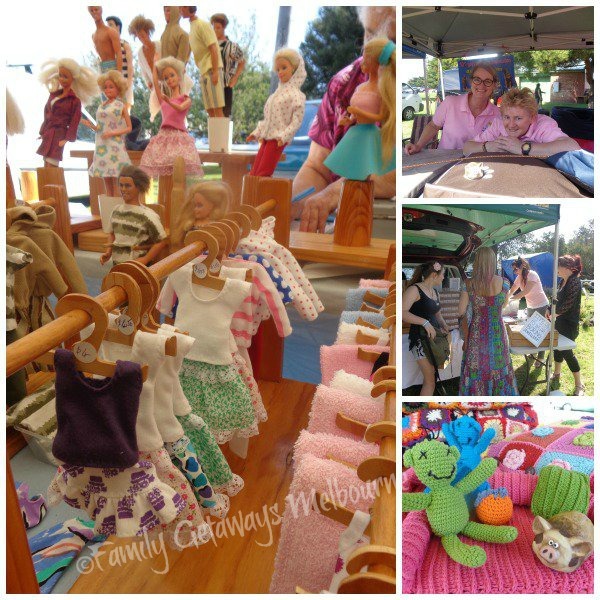 When the market is at full capacity there are close to 200 stalls spread throughout the pretty Princess Park. Being so close to the beach, this market venue makes for a delightful full day trip from melbourne for all the family with plenty of extra things to see and do in and around Queenscliff. 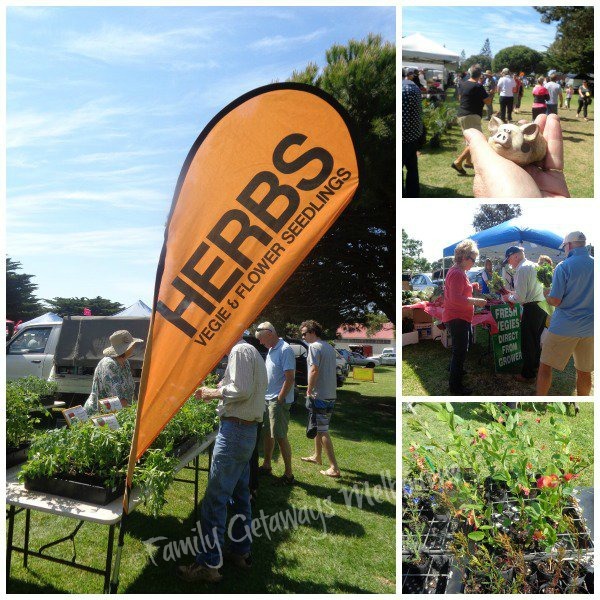 This is one of the better markets in Victoria and is is filled with a variety of stalls selling homemade, homebaked and homegrown products. 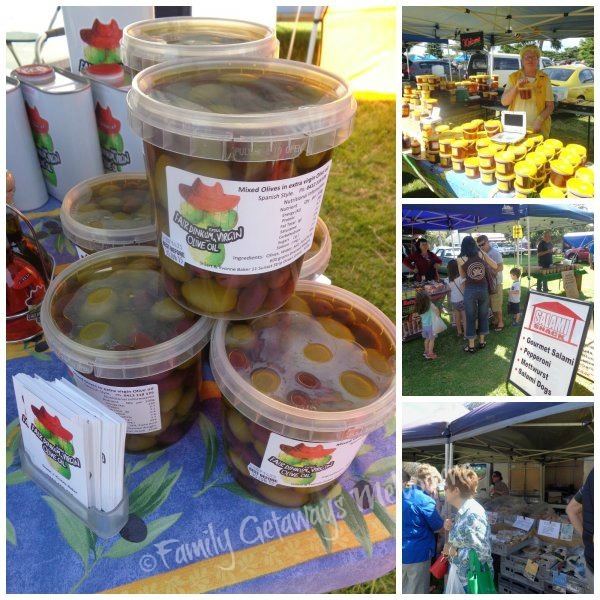 Unique arts and crafts, plenty of top quality handmade jewellery, delicious sauces, jams and condiments. Enjoy discovering examples of the local produce such as different varieties of Olive Oils, delicious wines and aromatic cheeses, just to mention a few. 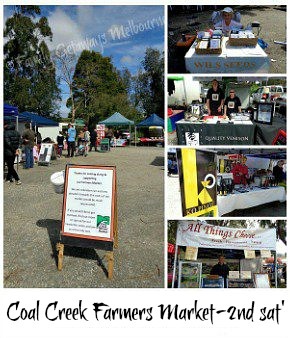 Better markets in Vicoria attract quality stallholders who come from all over the district and country Victoria to sell their goods, securing an exciting and unique mix for tourist and locals to enjoy. There is always plenty of parking around the market and also in the adjoining streets of Queenscliff. If you are driving down from melbourne just click the map here and fill in your details to get your day trip from Melbourne planned out. 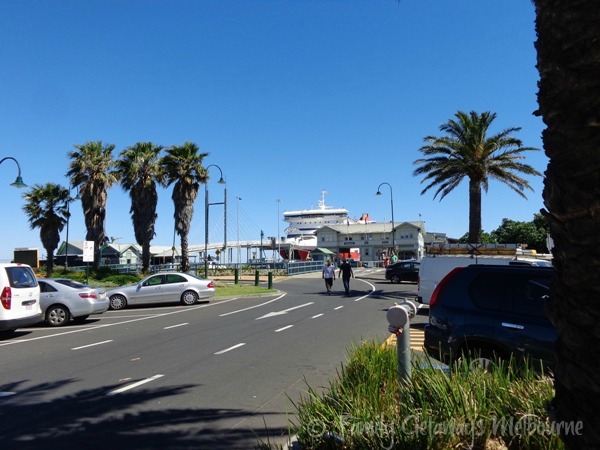 For those of you who would like to incorporate another exciting component to your day out, why not consider catching the Sorrento Ferry over to Queenscliff. As the market is not too far from the Sorrento/Queenscliff Ferry Terminal it is an easy stroll from the ferry to the market and back. Of course if you are considering touring the area or even staying for a few nights then the ferry can also transport your car, RV or caravan across the bay. What better advice to get that that from the local grower who understands the region, what grows and better still what doesn't so that you don't waste your money. Whenever you visit a market it is always good to know whether it is a dog friendly market and this one I was glad to see is just that. One of the things that I love to do whenever I viit a market, is to chat with the stallholders. 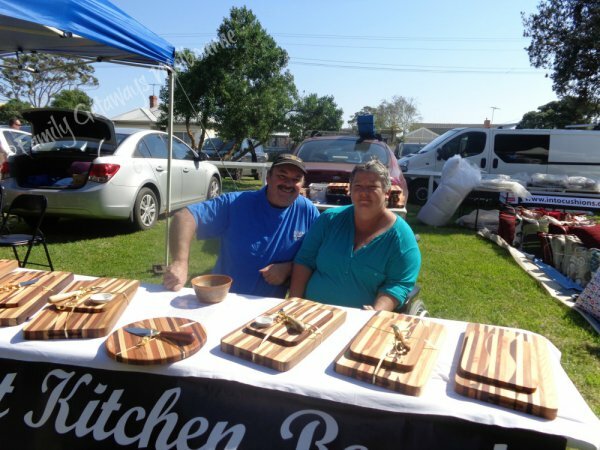 Both David and Karen from Elegant Kitchen Boards are a typical example of 'stallies' with a story to share. 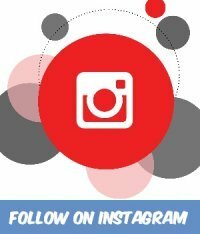 Not only a story about the products that they sell but an insight into what they do, why they do it and what else they have been up to. David's kitchen boards are fascinating, by the way, in as much that the raw material for his boards comes with its very own story. Take for instance the Oregon (pin) that comes from the old Geelong Wool Stores or perhaps the Merbau (brown) that was aquired from the Vicorian Arts Centre. David tells us that the Cheese Knives are made from Blackwood from ther Geelong Gollege. So when you make a purchase you are taking home a piece of 'far dinkum' Geelong Heritage. 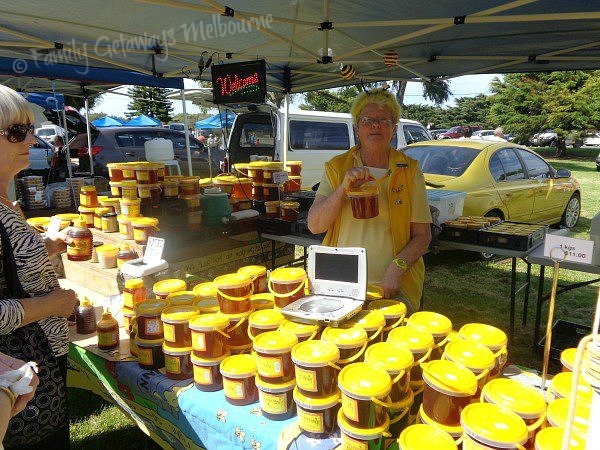 Dot is another fascinating stallholder with an interesting story to tell. Dot's Barbie Dolls Clothes and accessories are fascinating, I'm sure her collection of barbie Dolls and Ken and his mates will fascinate young and old alike. Lots of memories flooding back I am sure. Ken and the boys don't miss out either, with lots of outfits to choose from. 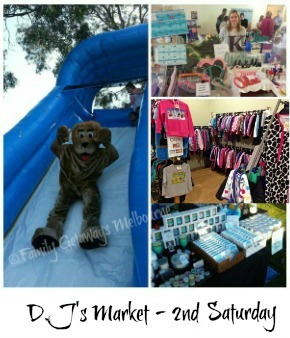 You can also find Dot at Point Lonsdale on the 2nd Sunday of the month. 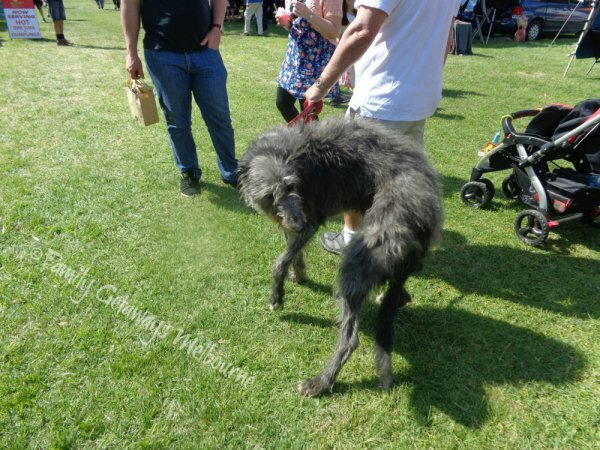 Generally stallholders are a breed unto themselves. Always fun to chat with and sometimes the show they put on is as good as the product that they sell. Joy's certinly not ackward in coming forward when it comes to her way of selling her liquid gold. Danielle's selection of Soy Candles is beautiful and she cleverly combines other components producing unique and unique, personal and value packed 'gift packs'. How clever is this guy! 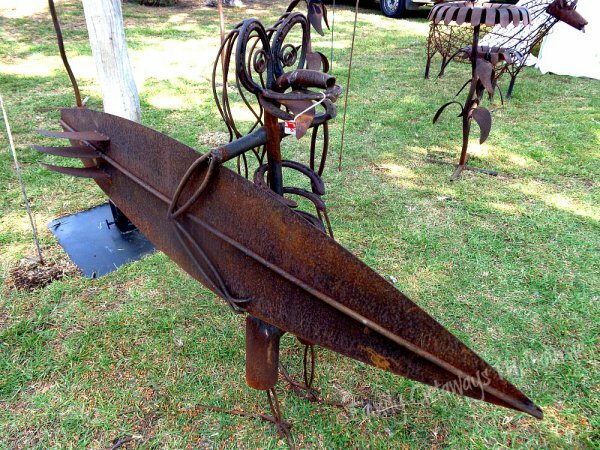 Russell certainly can weld his steel into the most amazingly, mad, metal sculptures. 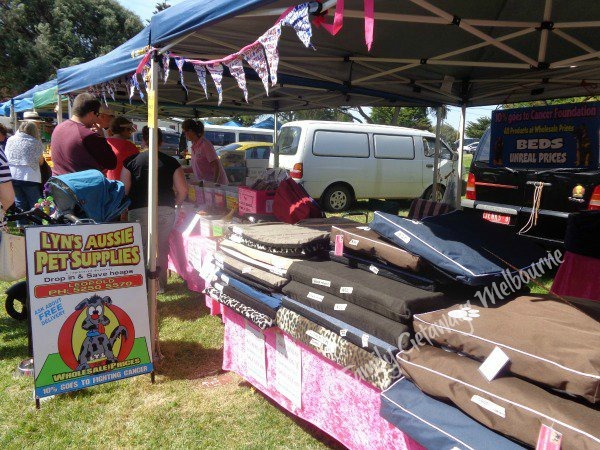 Lyn and Russell can also be found at Torquay Market on the 3rd Sunday of the month. A couple of great ladies with a passion for their mission run this stall, where a generous 10% of the sales on the day go towards fighting Cancer. 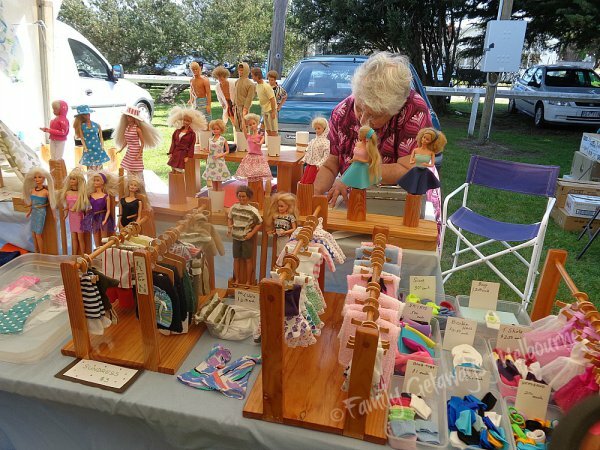 The day I visited the queenscliff Community Market the wind was blowing a gale and Lyn was really struggling with her stand. That's what caught my eye and once caught I just had to take a closer look. Talk about a modern twist on an old theme. Wow, what an amazing array of uniquely crafted croched rugs, pillow overlays, toys, bags and other well made items. Took me back to those rugs I used to see draped over the couch at my mother inlaws so many years ago. These, however, are beautiful - masses of vibrant colours and modern designs. 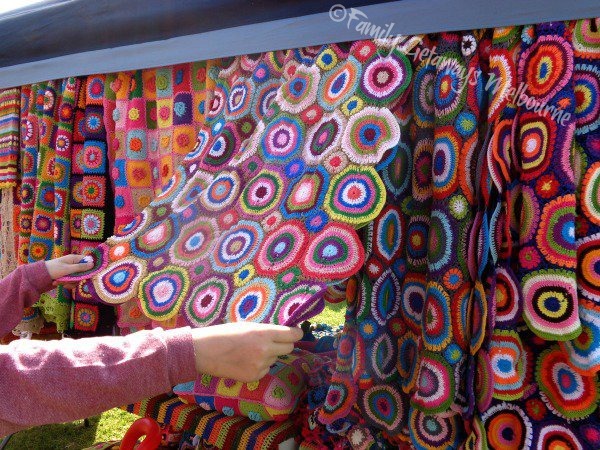 You seriously have to check out Rita and Ray Crochet either at the Queenscliff market or online. It was school holidays when I visited the market so I decided to take advantage of the free time and book some local accommodation. Here at Queenscliff, Victoria there are Historical hotels, motels, Guest Houses and Beach Houses etc. 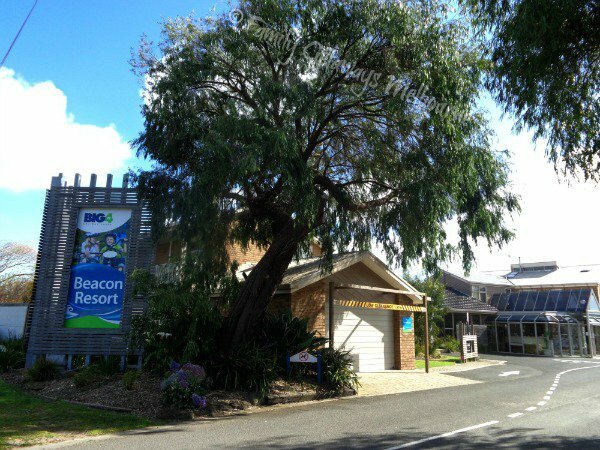 I decided to go with the Big4 Beacon Resort Caravan Park with its well appointed Cabins. Truly an amzing place to stay at any time of the year and with the Point Lonsdale Beach just 3 mins drive away as well as all the other places of interest to explore, this park has to one of the best places to stay on the Bellarine Peninsula. 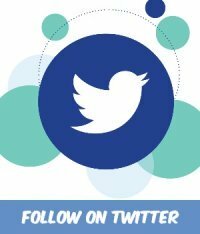 For more details on prices, the accommodation choices etc, just click the image below. 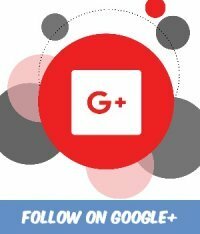 Don't forget to check out the reviews left by plenty of satisfied guests, these give you a true insight into what the Park can provide for you. 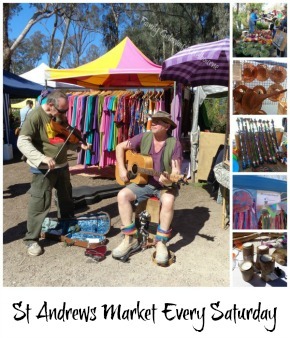 If it's quality crafts or delicious homemade produce, fine wines and amazing tasty cheeses that you love to find then these sort of markets in Victoria are the best to explore on a weekend. 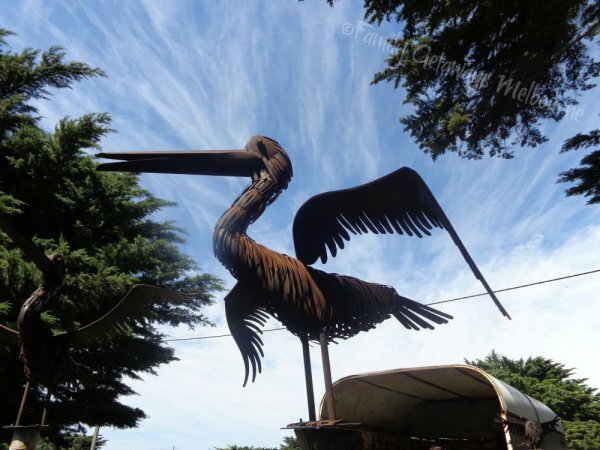 If you enjoy travelling into the outer areas of Melbourne or into the countryside there are plenty of markets in Victoria that you can explore. 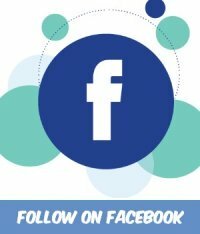 Check out my Facebook Page for a list of what markets are on this weekend.